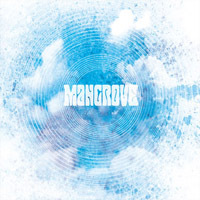 It was a rainy day in the fall 2006 when Mangrove made it`s first musical expressions. A foundation of the 70:s heavy psychedelic rock jams and a heart of soul led the three members to make a pact: This music is too good not to be shown to the world. In the end of 2007 the band had enough songs and ideas to make a record,so a demo was recorded at Gig studio in Stockholm February 2008.The songs where made by the pieces of their yesterdays and as Mangrove gazing at the skies and searching for tomorrow in the Universal time,Transubstans Records found them. Deep from the Scandinavian swamps, Mangrove rose and put the music that had flown through their souls on a record.Also these recordings where made at Gig studio. Barely could the compact disc carry the heaviness of the sound.As a live act Mangrove was known for delivering energy,groove,jams,strong melodies and spreading love and happiness Mangrove is Jani Kataja:Bass and Vocals,Fredrik Broqvist:Drums,Magnus Jernström:Guitars First edition in luxurious digipack.